Chinese keys or gra-chai as the Thais know it, has a misleading name that makes it sound like it originated from China. As far as I know, gra-chai is not used in Chinese cooking. 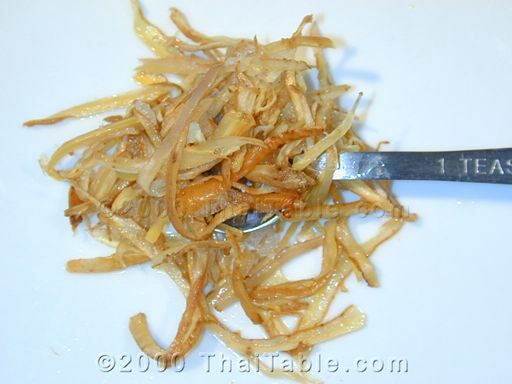 Gra-chai roots are used to tame fishiness or meat odor. It also enhances the flavor of fish dishes. The brown skin is scraped away before use. Gra-chai is available frozen, dried and powder. I get mine frozen and thaw it before use. Frozen is as good as fresh.